Briko ShotII. 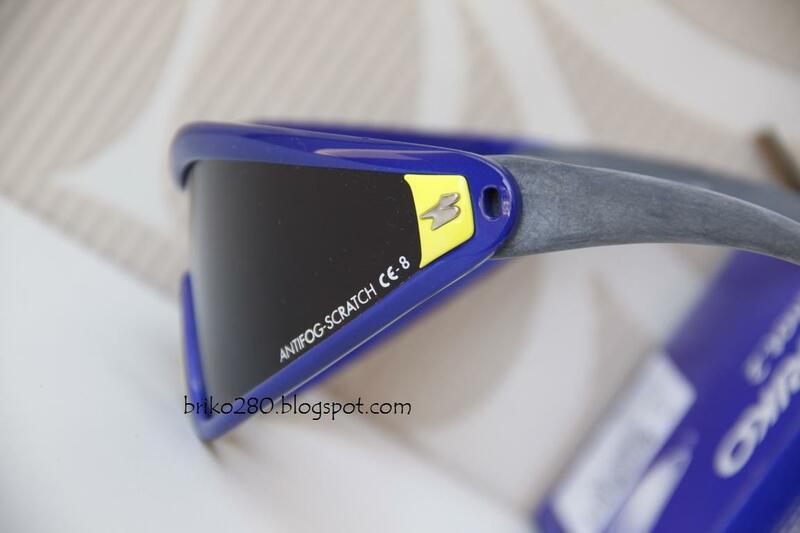 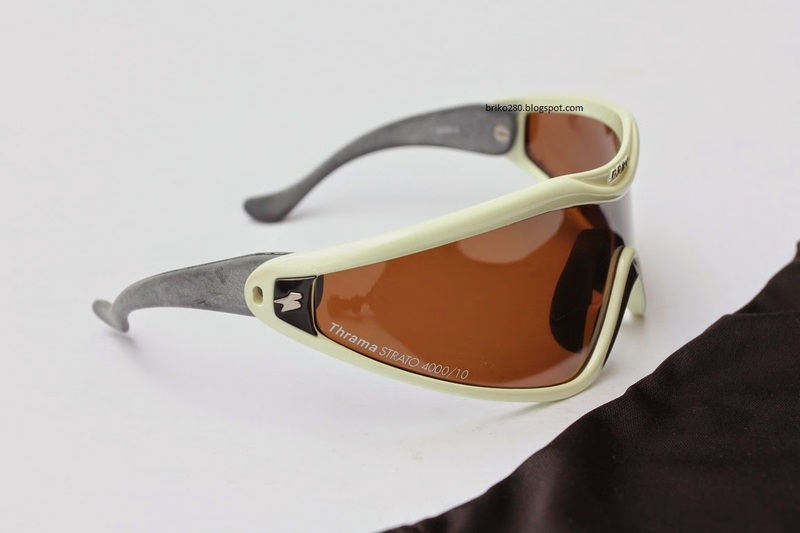 Argento frame with ThramaStrato 4000 lense. 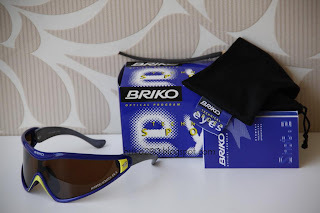 Briko ShotII. 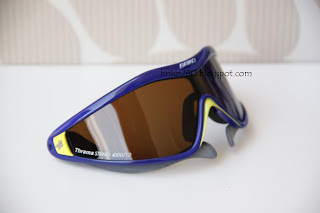 BlueLime frame with ThramaStrato 4000 lense. 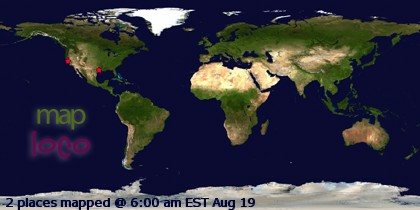 Filter with high blue light protection level. 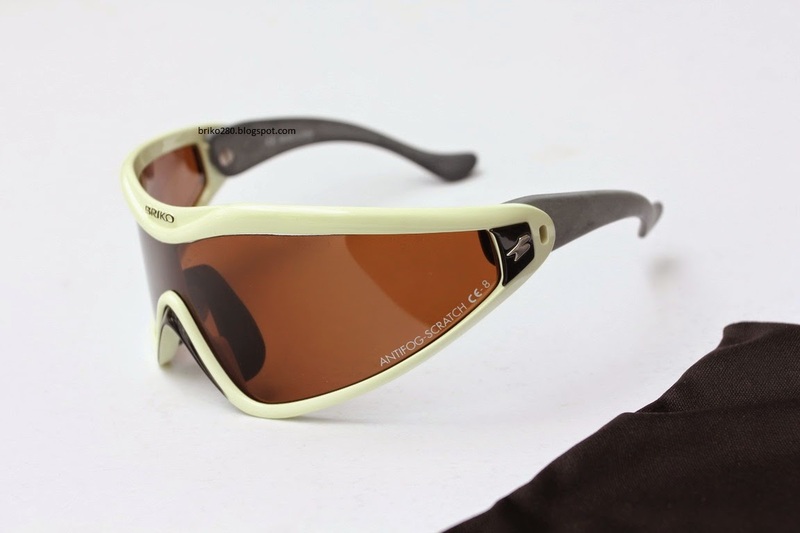 Ideal use in intense light conditions. 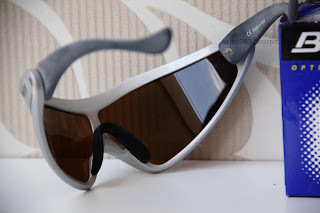 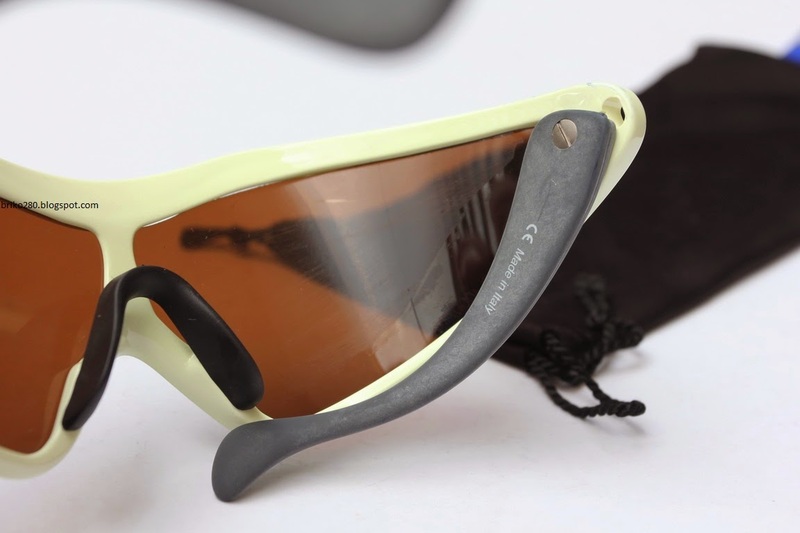 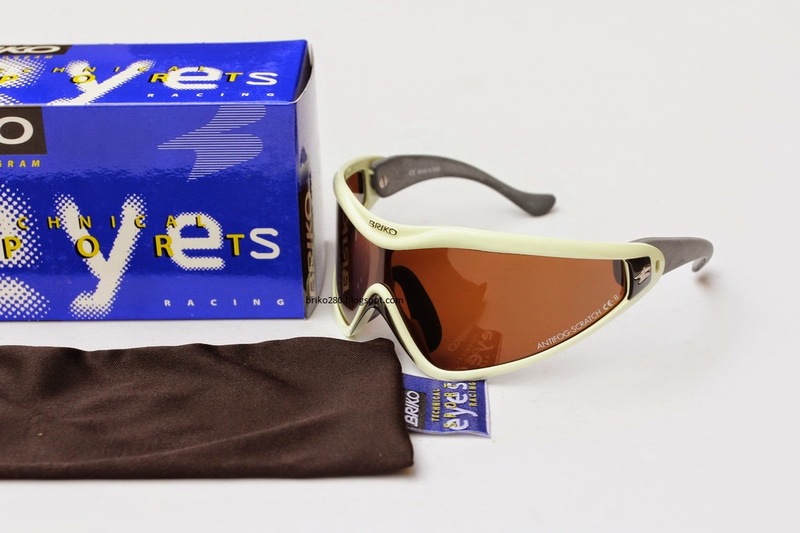 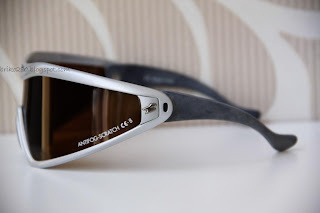 The ShotII are technical googles that have a special large lens for protection which provide 180° periphal vision. 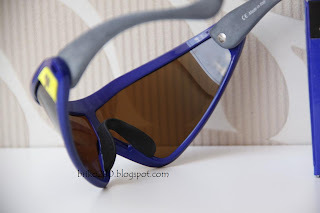 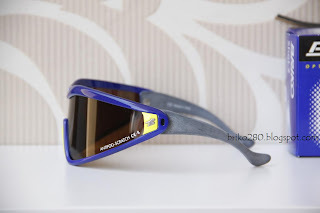 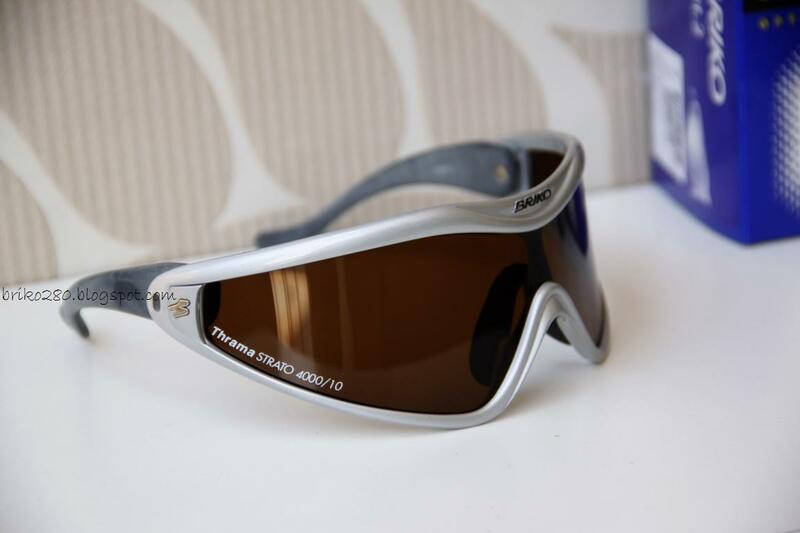 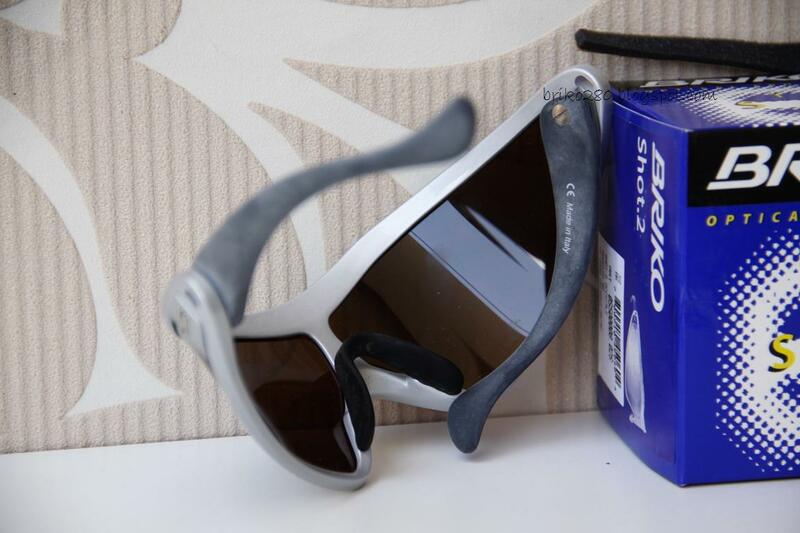 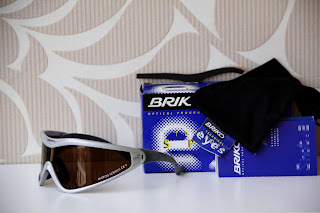 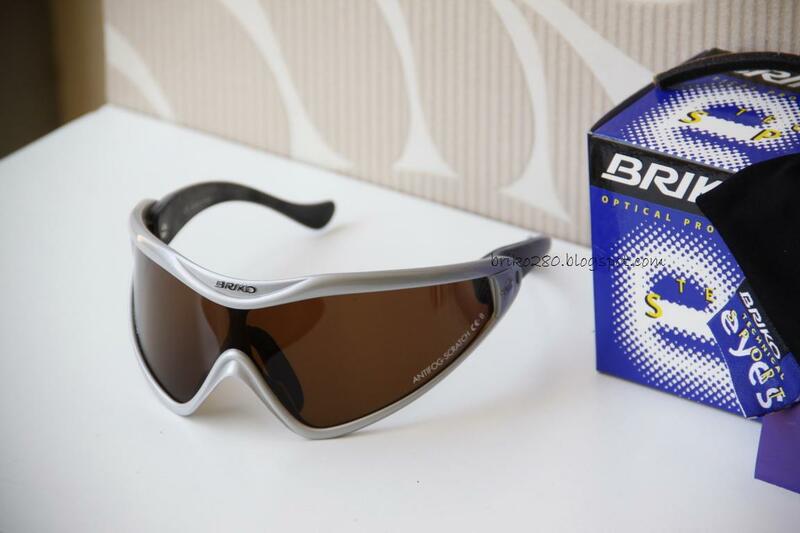 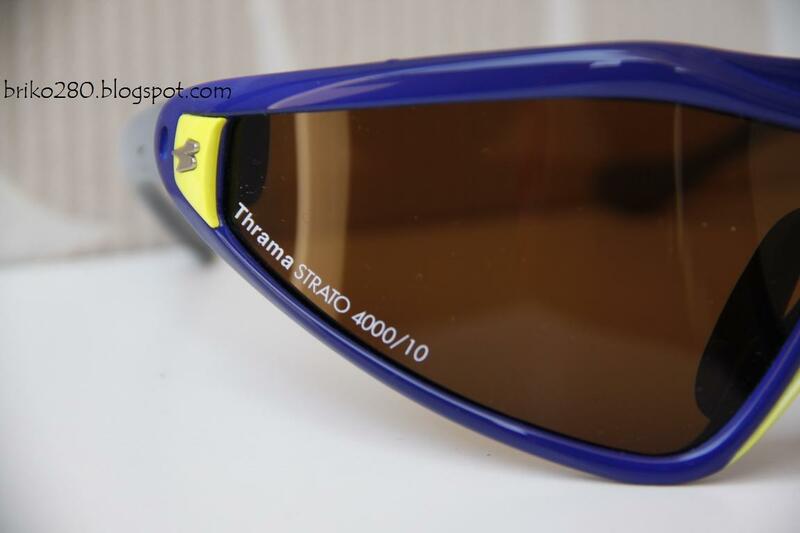 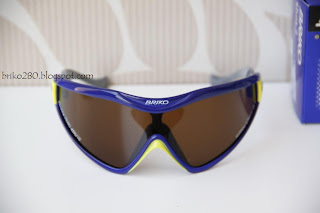 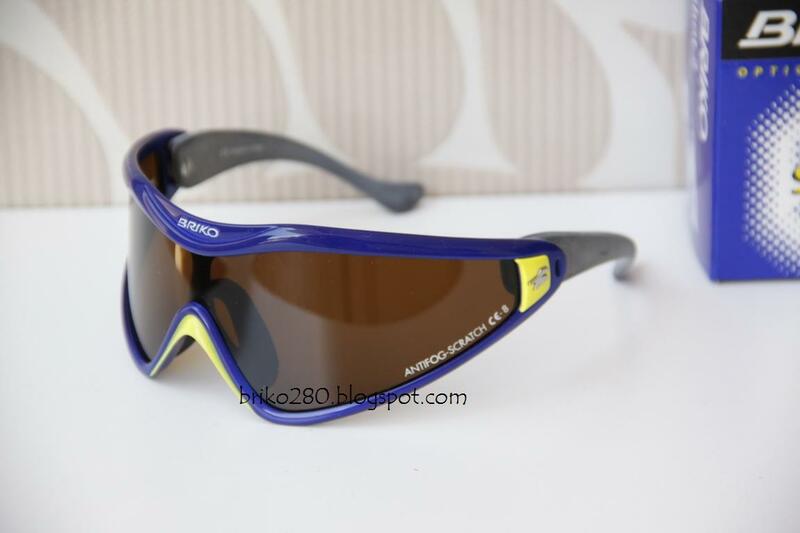 Designed specially for cycling and skiing..
Thrama 4000/10 lense with high blue light protection level, ideal in intense light condition. Filter made up of four, laser cut, asymmetrical layers with scratch-proof and anti-fog treatment. 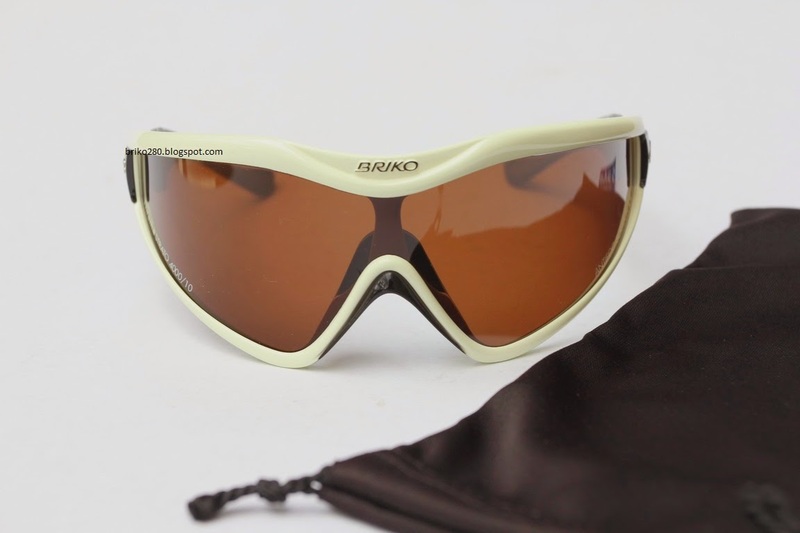 - The frame which has been created in Grilamid, has a radius of curvature in base-8 and ensures periphal vision. 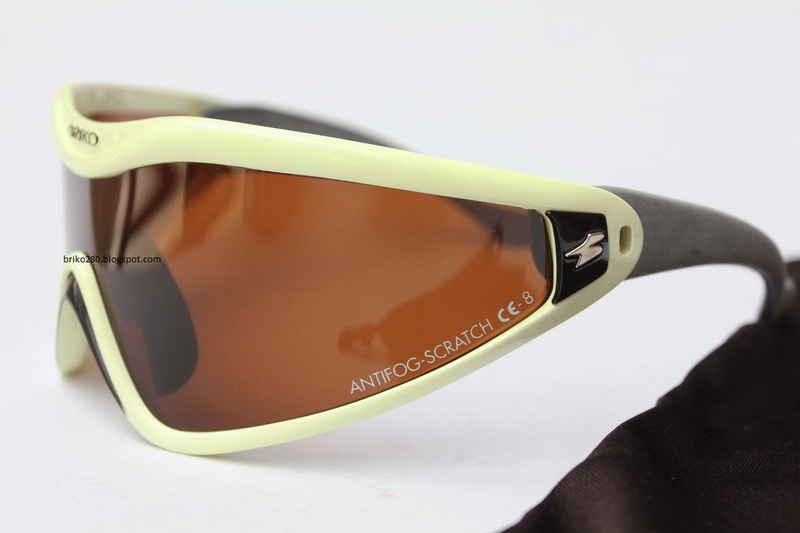 - The temples are composed of Hytrel DuPont, ensuring non-slip comfort and excellent fit. 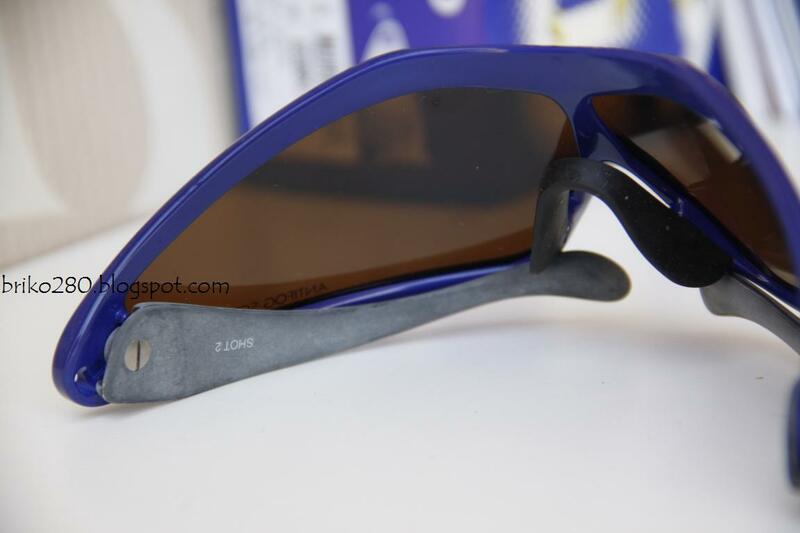 The temples can be tilted into position to comfort perfectly to the face. - Brow pad can be attached for further protection and performance during strenuous activities.